Three bills were passed by the legislature this year and signed into law that were specific to improving the operational environment for Idaho public charter schools. House Bill 91 amends existing law to revise the definition of “development” to exclude activities undertaken by public charter schools. The new law recognizes that public charter schools are similar in purpose to district public schools and should also not be included within the definition of development under the act and consequently not subject to development impact fees. The law does not make public charter schools taxing districts. The change places public charter schools on the same level as district public schools in relation to the assessment of a development impact fee. House Bill 91 was sponsored by Senator Lori Den Hartog and Representative John Vander Woude. It was signed by the Governor on March 12 and goes into effect on March 12, 2019. Senate Bill 1058 creates a new voluntary certificate for charter school administrators to provide increased flexibility. Of the 42 states with charter schools, approximately 30 do not require charter school administrators to hold a certificate; they leave hiring to the discretion of each individual school. Senate Bill 1058 still requires charter school administrators to hold a certificate, thus retaining oversight by the Professional Standards Commission, but places more of the decision-making authority with the local school. Not all charter schools will hire an administrator with this new type of certificate, but those that choose to, may. Senate Bill 1058 was sponsored by Senator Lori Den Hartog and Representative Judy Boyle. It was signed by the Governor on March 21 and goes into effect on July 1, 2019. Senate Bill 1180 created a credit enhancement for charter schools that will help lower interest rates on bonds for charter school facilities. With the benefit of the Idaho School Bond Guaranty, traditional school districts are currently served by a competitive field of underwriters allowing them to secure “Aa1” or “Aaa” ratings on bonds. In contrast, charter schools seeking long-term bond financing for facilities are served by only two underwriters, have no access to competitive sales, are charged underwriting fees 3-5 times higher than those charged to school districts, and pay interest at market rate. Under Senate Bill 1180 charter schools using this new tool could secure bonds with interest rates 2-3% lower than without the tool. In Utah, since the inception of a similar program in 2012, participating charter schools have saved over $91 million on interest payments. This legislation was sponsored by Senator Chuck Winder and Representative Gayann DeMordaunt. It was signed by the Governor on April 3 and goes into effect on July 1, 2019. Governor Little set the tone for education policy with legislation early in the session to increase starting teacher salaries. 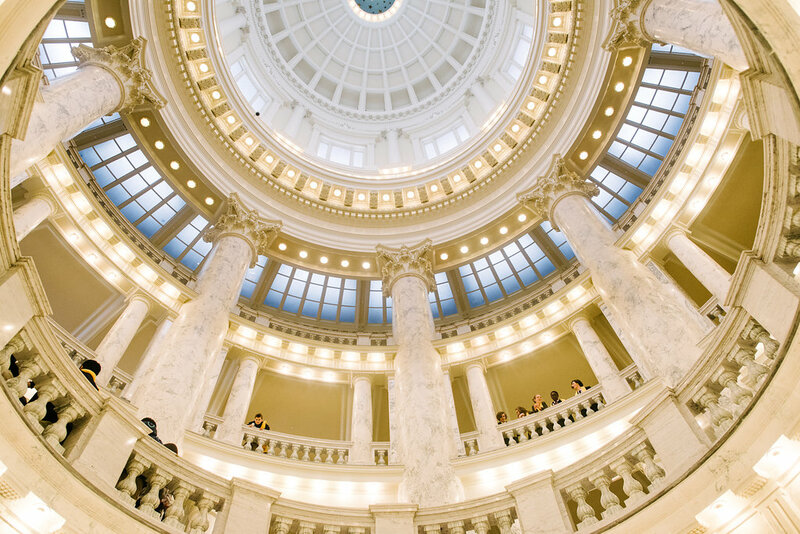 House Bill 153, and accompanying appropriations bill House Bill 286, raised Idaho’s current minimum teacher salary allocation from the current $35,800 up to $38,500 for next year, and $40,000 for the following year for all teachers on the residency rungs of the career ladder. Governor Little pushed for an additional $13.1 million for K-3 literacy, which some schools have said they will use to implement full-day kindergarten. In contrast, a three-year effort to rewrite the education funding formula fell flat as lawmakers and stakeholders failed to coalesce around a single bill, though House Bill 293 sets definitions and calls for improved data, has passed both bodies and is headed to the Governor’s desk. The Idaho Charter School Network would like to thank the state legislature and Governor Little for their support in making these improvements to Idaho’s charter school program. ICSN’s legislative lobbyists Emily McClure and Blake Youde did a great job of moving both Seante Bill 1058 and Senate Bill 1180 through the legislative process and of ensuring charter schools had a strong voice in the school funding debate and in education generally.